Deputy Legal Advisor to Government says Netanyahu's promise to make up for Givat HaUlpana unfeasible. 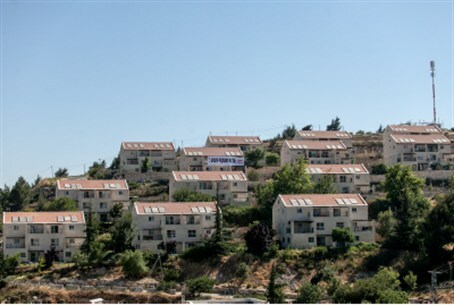 The Deputy Legal Advisor to Government says that Prime Minister Binyamin Netanyahu's promise to build 300 new homes in Beit El is unfeasible, according to a report in Maariv Tuesday morning. Netanyahu made the promise as part of a move to compensate for the planned destruction of 30 apartments that make up the top row of the four-tier Givat HaUlpana neighborhood. That demolition order, too, was brought about by the State Attorney's Office, which did not contest a motion by ultra-leftist Peace Now demanding that the neighborhood be razed. The Deputy Legal Advisor to Government, Mike Balas, and other unnamed attorneys from the State Attorney's Office, have held discussions regarding Netanyahu's plan and concluded that it is legally unsound. The reason for this, the report says, is that most of Beit El was built on land that was seized by Israel through a method that the High Court has since found to be problematic. While Givat HaUlpana was built on private Arab land, purchased in a deal of contested legality – most of Beit El was built on land that was initially used by the IDF and then transferred by government decision to World Zionist Histadrut. Beit El was founded in 1977. The practice in which land taken by the IDF is converted for use by a civilian community was stopped in the late 70s, after a High Court decision opposing it. The Attorney's Office now says that building 300 units on land that was seized in the method ruled out by the High Court is not proper. The Prime Minister's Office told the newspaper, "The Prime Minister's promise to build 300 housing units in Beit El still stands."